Details: The project is coming up at Perumbakkam in Chennai South spread over 2.88 acre of land. 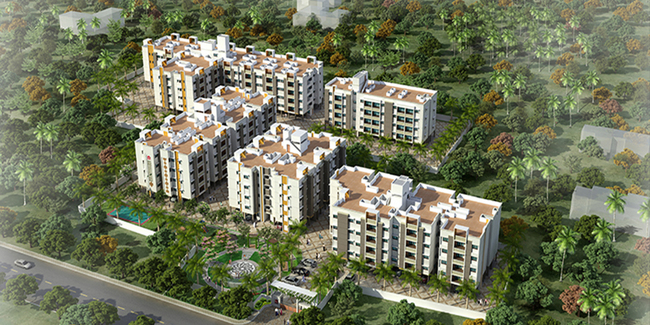 The project offers 5 towers with stilt+4 floors, having 258 units of 1, 2, and 3 BHK apartments. Apart from the basic amenities, the project offers Swimming Pool, Amphitheatre, Aerobics Centre, Indoor Games, Jogging Track, Multipurpose Court, Gated Community, Barbecue, Conference room, etc. Mylapore, Chennai 600 004, Tamil Nadu.